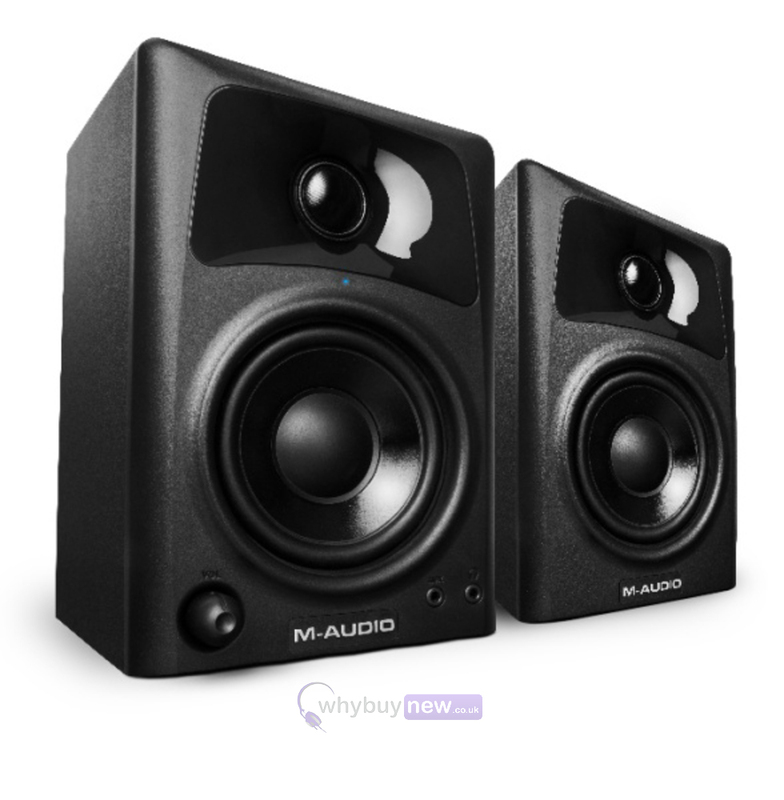 The fantastic M-Audio AV32 desktop monitor speakers have been constructed from acoustically resistant MDF cabinets that have been specially designed to ensure clarity. 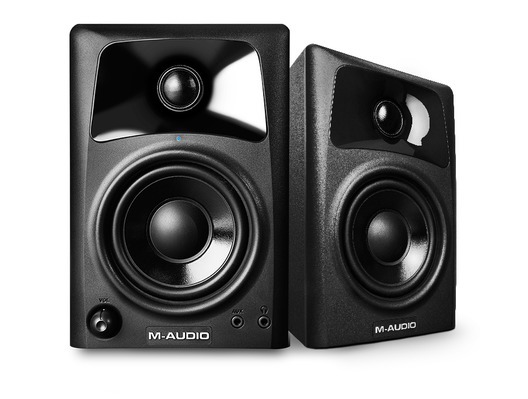 On-board amplification gives out 10 Watts of power per channel, and the two-way design has an optimized bass reflex design and OptImage IV waveguides that will deliver deep warm bass together with crystal clear highs. 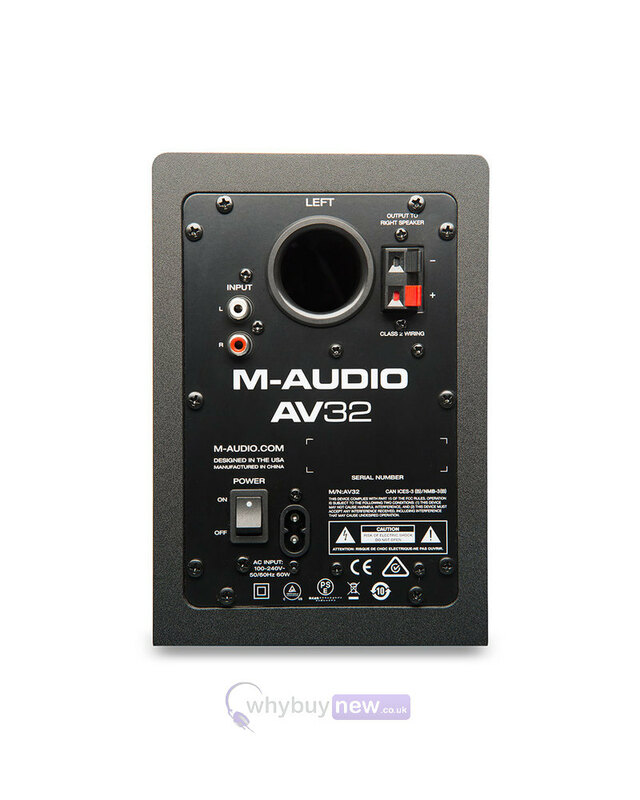 With both 1/8-inch stero jack and RCA inputs the AV32 monitors can be used with a variety of different equipment, including laptops, tablets and mobile devices. Headphone outputs give you the freedom to listen privately at any time of day. 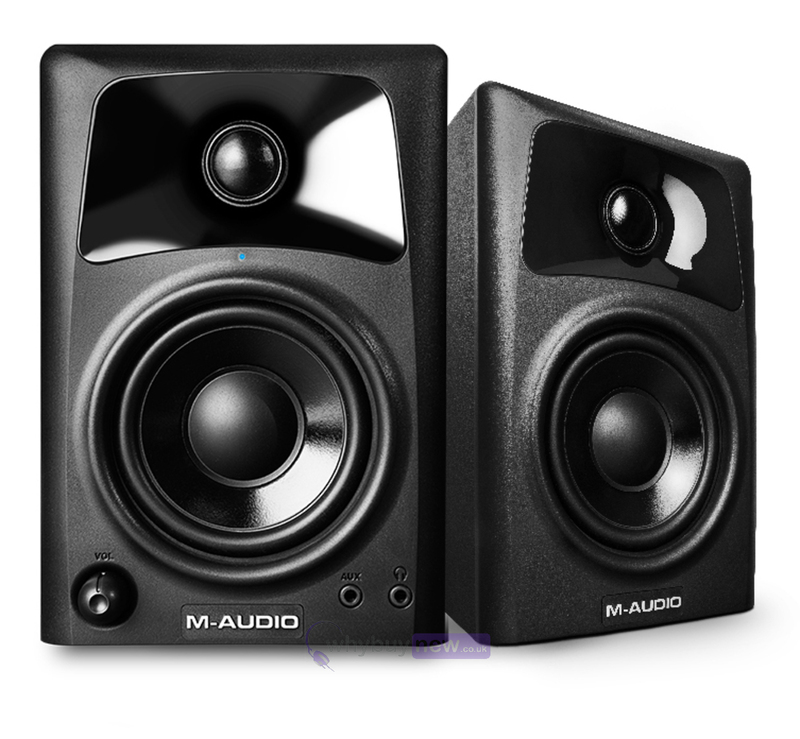 Ideal for music production, but equally suited for gaming, watching videos and listening to music. Supplied with cables. 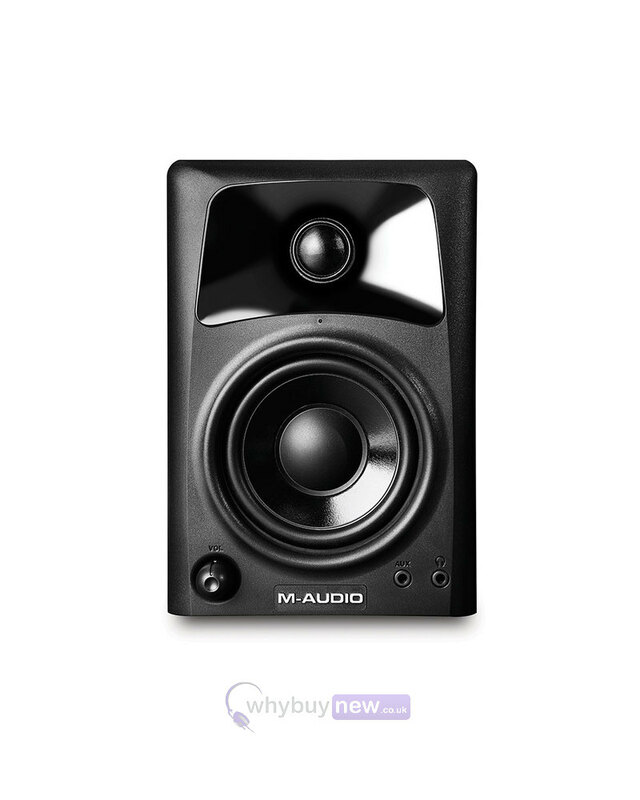 Here we have the M-Audio AV32 Active Speaker Pair in brand new condition and in B-Stock. The B-Stock versions would have been on display at a training evening or trade exhibition only and will come boxed 'as new' with all accessories and a 1-year warranty. Very good value for money. Bass on the speakers is perfect. Would highly recommend!